Action: View of the grounds of the New Summer Palace near Beijing, with a pagoda on the hill slope in the distance (see no. 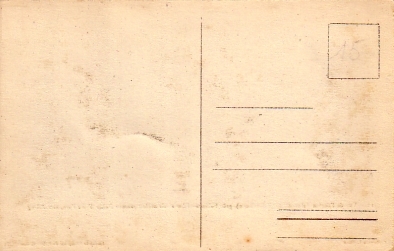 cn00317). A large bronze incense burner a terrace are in front of a large hall, with another building on the left. 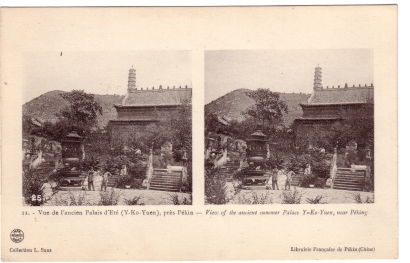 Image Particulars: The reference to “ancient” summer palace suggests that the caption was written after 1911.